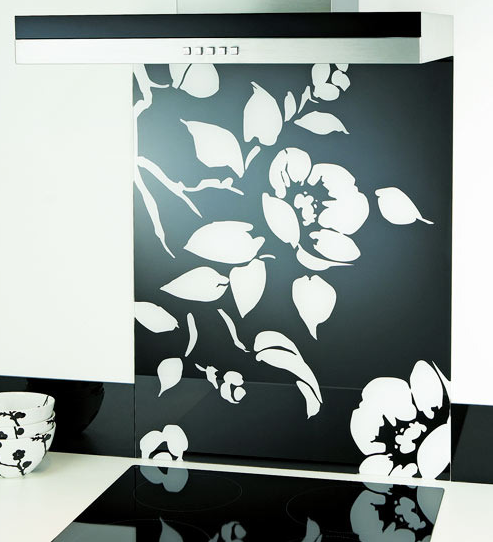 Modernize & Personalize Your Kitchen. 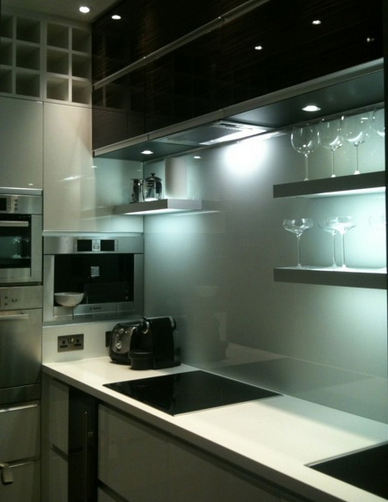 Toughened glass splash backs aren’t just aesthetically pleasing they are also extremely functionally effective for protecting your walls from staining and water damage. A glass splash back behind the hob or stove allows for easier cleaning of all foodstuffs that could potentially stain your bare walls. 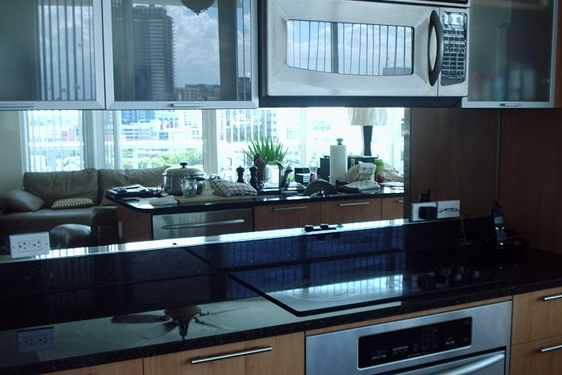 The properties of glass make it easily cleaned when marked with water, grease, foodstuffs and bacteria. 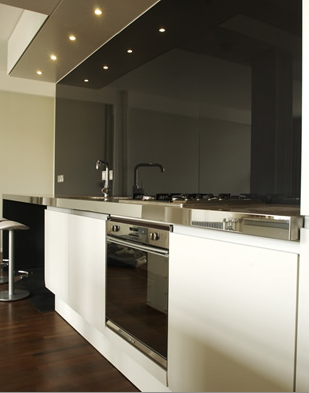 With the glass being toughened it is both physically and thermally stronger than regular glass so that the heat of the hob and the stress of knocks are unlikely to make the glass shatter. Manufactured to the highest specification and quality. 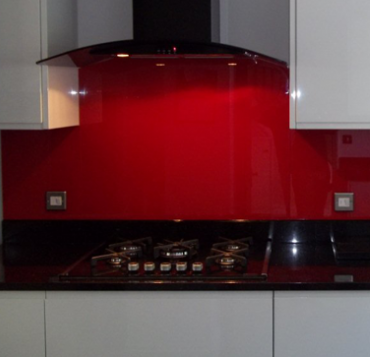 Our painted glass splashbacks are made from the finest materials typically using 6mm low iron- Optic clear toughened glass for a more accurate colour match and safety as a priority. Vibrant with low maintenance required they are fast becoming the modern day alternative to traditional tiling. 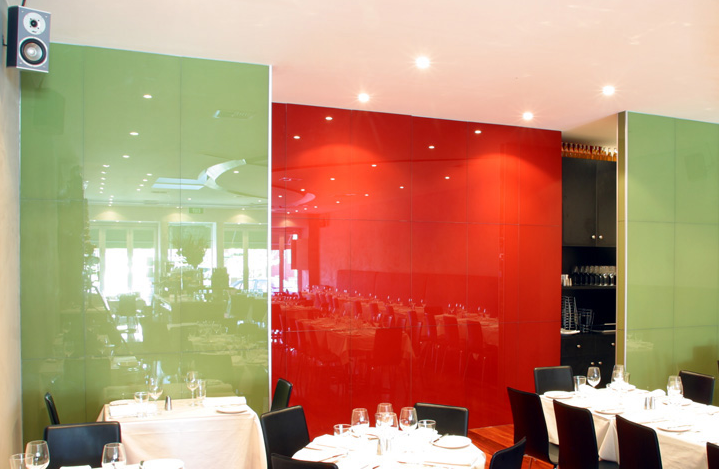 Low iron glass is ultra clear and provides a higher degree of transparency than clear float glass. This optimum clarity is achieved by removing most of the iron oxide content used to produce glass, The result is pure, sparkling, very clear glass. Increases light transmission and reduces the greenish tint in clear glass that is most apparent when viewed from the edge. 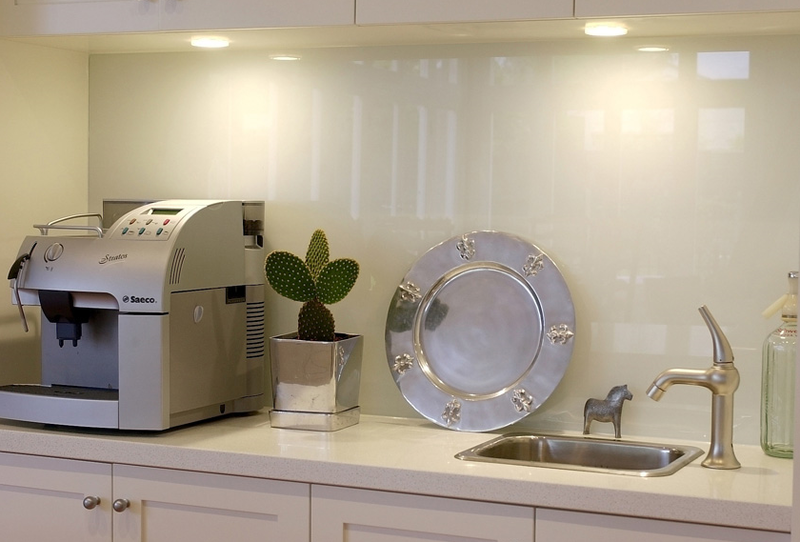 Designed for applications where optimum clarity is desired, it’s this attribute that makes low iron glass sought after by designers and architects,When used in splashbacks it gives more accurate colour matching. We have steadily expanded and are proud to be one of only a few specialists in this market. We offer literally 1000’s of colour chooses using environmentally friendly yet durable industrial coating pigmentation. follow the link here to choose a colour from the Universal Ral Colours that we will be able to match. Click here for most commonely used Ral colours. The latest edition to the APG processing facilities is our own, in-house spray booth. 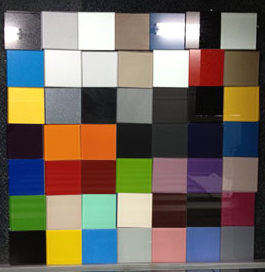 We can now paint glass pieces in any RAL colour for a multitude of uses. As well as solid colours, we can apply stencils for elaborate designs and even embed glitter to stunning effect. Toughened with polished edges they can be produced to any size and are available in over 2000 colours. We can custom make your glass incorporating cut outs for sockets or drill holes. 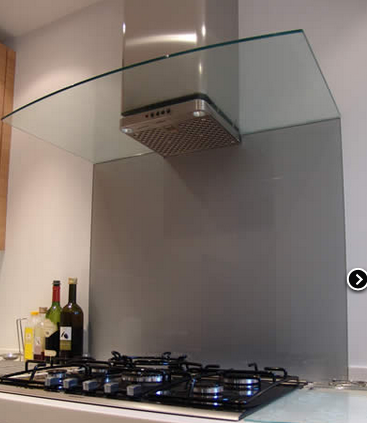 Our bespoke glass can also be shaped to match the curve of a cooker hood or work top. Our skilled installers can measure up and create an exact template for the area. this is highly recomended when clients are not sure of their sizes. Our experienced installation team are employees (not subcontractors) who work to the highest standards. We use only the highest quality glass, machinery and materials to ensure a quality product and customer satisfaction every time. 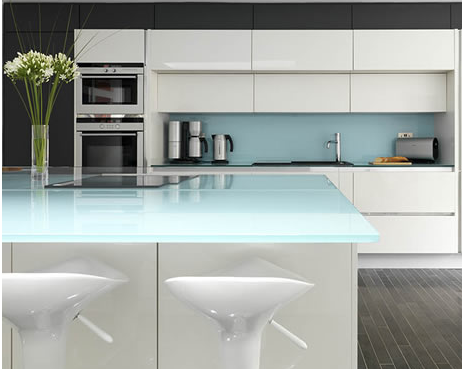 Painted glass splashbacks, kicker boards, Worktops, table tops & wall cladding. Extensive selection of Colours, colour match available. Environmentally friendly industrial coating- acrylic resin based paint is UV stable, fire resistant and highly durable against corrosive and scratch resistant. 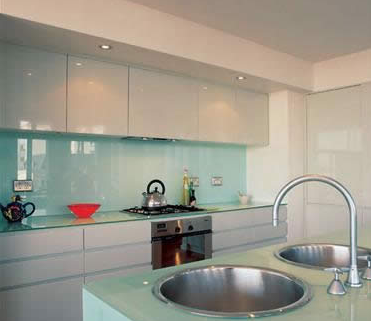 Toughened glass.-British and European Standard 12150 Class 1(c)1= five times stronger than non toughened [float] glass. Low-Iron (Opti-Clear)- creating an exceptional vibrant color. Suitable for behind Gas hob. Suitable for behind Electric hob. Designs Scanned images, patterns and many processing’s. Cut outs for sockets and sinks. 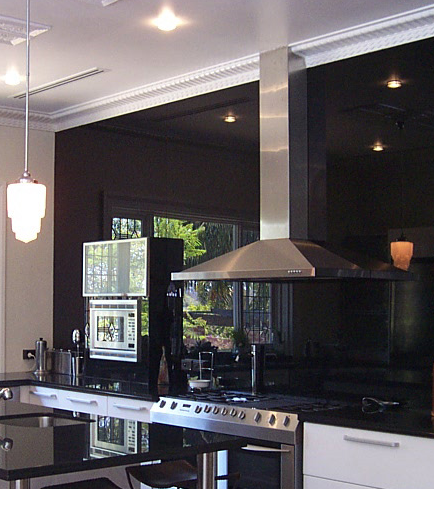 Our splashbacks can be ordered supply only or measure supply & fit services offered where a full template and installation service is available. Therefore from start to finish we can handle all your design requirements for any size, shape and colour, ensuring a perfect fit and superior finish. Whether its an individual piece for home or business, or a large, complex, bulk order, All Purpose Glazing can provide you with an eye catching solution. For further information please contact us on 02871 357 444 So if you are looking for a glazing company or to enquire about our services, Why not come to our show room at the Glass works, Skeoge industrial estate Derry City Northern Ireland and have a look at these in person or contact us today on 02871 357 444.